Educational institutes want to give the best learning resources to their learners. Ever since printed textbooks made way to eBooks, they have been the most preferred form of learning material among students. An interactive eBook needs to be designed in a way that generates interest and increases engagement. And creating an interactive eBook is something many publishers and educational institutes struggle with. With so many software packages available, people tend to get confused over which one to use. Kitaboo makes their work easy by providing an intuitive platform to create responsive interactive eBooks. It lets you create an interactive eBook and provide a holistic learning experience for the learners. Kitaboo is a cloud-based digital publishing platform where publishers and educational institutes can create, publish and distribute interactive eBooks. It has an easy to use interface which can be operated by anyone without any prior knowledge of eBook creation. It allows multimedia elements to be added to the eBook for enhancing the reading experience of the users. Right from creation to distribution, Kitaboo is an end-to-end interacitve eBook publishing platform. When you open the Kitaboo interface, you would come across an option to ‘Create eBook’ and ‘Create ePub eBook’. When you create an eBook using the ‘Create eBook’ option, you would be able to read the book only on a Kitaboo reader, whereas if you use ‘Create ePub eBook’, it lets you read the eBook on other readers as well. So, before you start creating an eBook, decide which reader you want your book to be read on. Once you have made the selection, proceed to the next step. Here you would add details about your book such as the title, book description, name of the author, book orientation etc. You can also choose the language in which you want to create the eBook. Kitaboo supports multiple languages, including all European and Indian regional languages. Check the font permission box; this is done in order to convert all the images in the PDF to jpg/png, and to use the font used in the PDF file. If you are creating an ePub eBook, you get an additional option to select between fixed and reflowable layout. Depending on your requirements, you can select either of the two. Be mindful that fixed layout supports images, while reflowable layout doesn’t. You can directly upload a PDF file from any location. In case you upload a file which is not in PDF format, Kitaboo will automatically convert it into a PDF. Kitaboo automatically takes the titles from the PDF and creates a Table of Content. You can create one manually as well. Kitaboo allows you to change the TOC even after the book has been published. Before proceeding further, you can check all the book details that you entered in the first step once again. In case you need to make some additions or changes to the book description, title etc., you can do it now. Hit the convert button to start the eBook conversion process. You would find an icon showing the progress of the conversion. Once the eBook has been converted, you can add enrichments such as images, audio, video, external links. Kitaboo allows you to add multiple interactive elements to enrich your eBook. You can add HTML interactivities which include 28 types of interactive assessment techniques. You can define the number of attempts allowed for each test and can also provide a timer if needed. Assessments include drag and drop, click and reveal, matching the pairs, labeling images, true or false etc. The go-to-page feature allows the user to jump from one page to another within the book. You even have an option to link another book within your current eBook. You can add survey links and many other interactive Kitaboo widgets to keep the readers engaged. Kitaboo also allows texts to be read aloud with the help of audio sync feature, aligning the text to the voice file. Once you have added all the interactive elements, you can preview the eBook to check everything one more time. After previewing you can save the file and exit the creation platform. Now you are ready to publish the eBook. When you hit the publish icon, you would be prompted to select a format (iPad, HTML, Android). Select whichever platform you want your eBook to be viewed on. You can select all three if you want. Your work doesn’t end at publishing. After publishing you need to archive the eBook. Archiving is important for the delivery and distribution of the eBook. In order to assign the book to others, it first needs to be archived. The time required to convert, publish and archive an eBook depends on various factors such as the size of the PDF file, size and number of multimedia resources embedded in the book, number of books in a queue etc. Once the book has been archived, you have to create a license for distribution. Kitaboo allows three types of licensing- individual, group and group licensing. Under ‘individual’ license, you provide one license for each user; ‘group’ allows you to generate two accesses- one for the teacher and the second for the student, where all the students can access the eBook with one license code. The third one i.e., group licensing requires you to create accesses that is more than the number of students in your class. For example, if you have 30 students, you would have to create 31 or more licenses. You have to define the number of devices that a student can download the eBook on. Once the student reaches the device limit, s/he will not be able to download it on any more devices. Similarly, you also have to state the validity date until which the eBook is available to the user. After you’ve done this, you select the user and class and hit on the distribute button. Your eBook is now available for users to download and read. Creating an eBook has never been this easy. 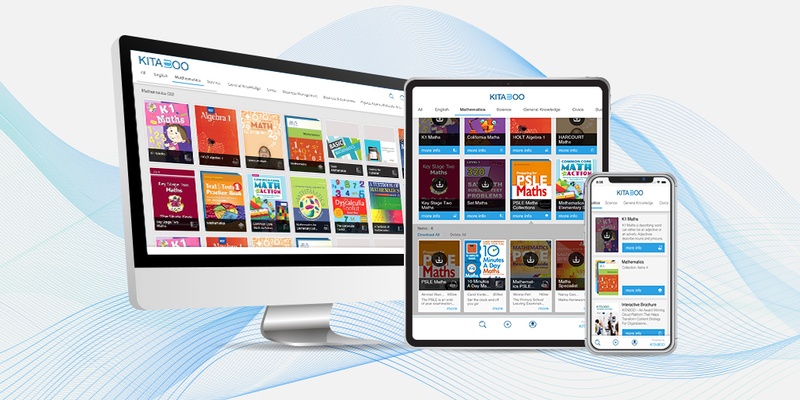 Kitaboo not only assists you in creating an interactive eBook but also gives you additional features and services like LMS integration, creation, and management of the eBook store, analytics and many more. Kitaboo analytics gives you in-depth insight into the consumption patterns of users. You can see how many students opened the eBook, average reading time, notes and highlights shared by the student, the number of resources viewed, etc. This helps teachers in planning classes according to the user’s reading preferences. Kitaboo also offers augmented reality, making learning more immersive by adding digital assets to physical books. With so many engaging features, your learners will enjoy the reading process and have an enhanced learning experience. Kitaboo is a platform that is used by over 6 million people across 20 countries. Being a trusted brand for over 15 years, it will take care of your end-to-end publishing needs. Want to save this article for future reference?